Most of us long for a purpose in life. Long to know that our life has meaning. Has worth. That the everyday and mundane isn't all there is to this life. In Found, Micha Boyett shares her own journey of discovering meaning in the chaos of being a stay at home mother to her first child. When her family moves across the country, she goes on a spiritual journey to seek to apply St. Benedict's way off life to her own. I could relate to Micha as she shared some of the struggles of being a new mom, since it totally changes your life! I think that this book, while interesting and not just for women in the same boat, would touch at home mom's the most. I thought her journey was interesting, though I didn't agree with everything. I appreciated her openness and unique take on life and a relationship with the Lord. It's the early 1920's and Ellis Eton is thinking of leaving school and going off to Hollywood to make a name for herself in the new film industry. Before she can run off though, one of her childhood friends begs her to take her job as a "hello girl". Figuring that the job is just like acting, she Ellis attacks it with gusto. But, when she overhears a sinister sounding plot that involves her neighbor, Ellis tries to unravel the mystery before it's too late. 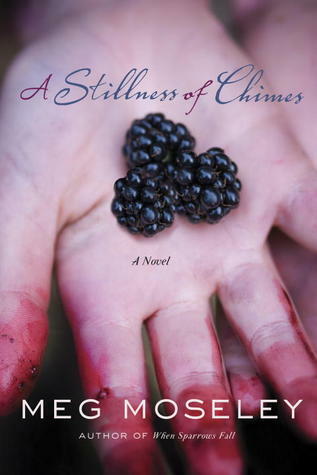 At first, I wasn't sure how I would like this story, since Ellis is a bit scattered, but her character grows on you! I like that the author explored what it would be like to have ADD back in the early 1900's. I also enjoyed all the historical facts woven into the story and that it talks about the prohibition and what was wrong with it. Two thumbs up! Popular blogger and Southern decorator, Shellie Rushing Tomlinson opens her own heart to readers in this excellent book about turning one's mundane faith into an exciting adventure. I love that Shellie talks a lot about her own journey and has it chocked full of scripture verses. There are a lot of fun personal stories too! I love her personal insight too, especially as she talks about the importance of opening your scriptures and diving in, rather than just relying on Bible studies. This book is an excellent resource and fun read! It seemed like a lot of these were geared towards people in ministry, but a layman can glean a lot from this book! I received this book from Worthy for my honest opinion. Kianna Ravencamp is 26 and has never been kissed. Even though she has held out for "the One", she is beginning to give up hope that God has someone out there for her. Especially as she notices marriages around her falling apart or struggling. I loved this book! The characters are solid, the story flows well, there is plenty going on, and the Spiritual side is firmly grounded in Scriptures. I fell in love with Kianna and her story! I think that there is a little bit of her in all of us. When Juliet Cole's husband is gunned down in a quiet parking lot before her very eyes, it is chalked up as a random shooting. But, as things start to come to light, Juliet and her siblings who moonlight as PI's find out that not all is as it seems with the past. I liked the first book in this series, but found this one to be even better! the twists and turns in the story keep one reading, racing to find out what is really going on with the story. I also really appreciate the spiritual aspect of the story; even though Juliet's world isn't as perfect as she thought, she still holds to her faith in God. 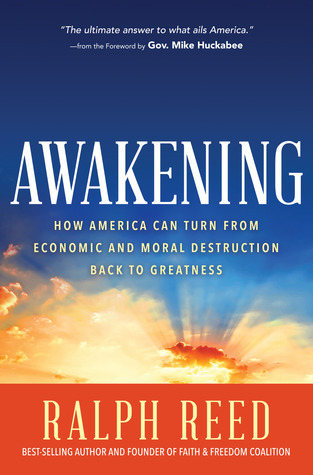 Awakening calls American society to help turn the nation from it's current path and back to a nation that can make an impact for good. Ralph Reed goes through the history of America, showing how there have been spiritual awakenings in the past that have led to prosperity. It is a call to become more involved in politics and to take a stand for what you believe in. To be bold in your beliefs and take a stand for Christ centered principles. Politics cannot solve everything, but knowledge is power. Get involved and help make changes for the better. 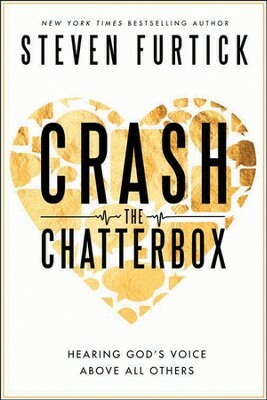 In Crash the Chatterbox, Pastor Steven Furtick challenges readers to identify the chatterbox in their conscience and to shut it down, so one can live to their full potential. 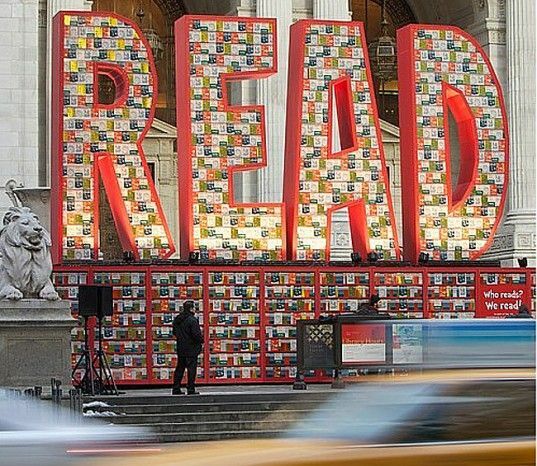 Each section challenges readers to take a look at a different problem: insecurity, fear, condemnation, and discouragement, and gives one the courage to tackle them. I thought that this book had a lot of good points, since it draws off of scripture, Godly books, and personal experiences. I found the part about not letting "what if's" get to you the most helpful. This book will challenge and encourage you. Pick up a copy today! Twenty years have passed since Taylor's dad disappeared with nary a trace. Now, as a psychology professor and part-time profiler, she decides to re-visit her dad's case. 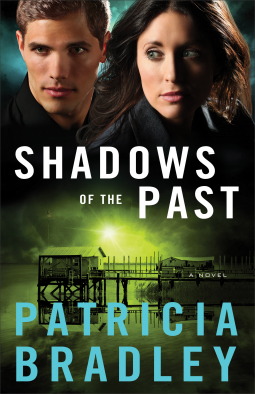 As Taylor becomes more and more involved in the cold case, things take a turn for the worse and she must try to find the connection between past and present. When thirteen year old orphaned Alice Ringwald is taken from her foster parents by a strange man who claims her mother is still alive and wants to see her baby girl, Alice's world is forever changed. With the FBI involved, Alice suddenly disappears without a trace. Five years later, Alice begins to have dreams where she meets the Outlaw and is called the water waIker, which challenges her to really look at her situation and stand up to adversity. While I liked this one better than the first book in The Outlaw Chronicles, as the story line was (in my opinion) more likeable, it isn't a favorite. 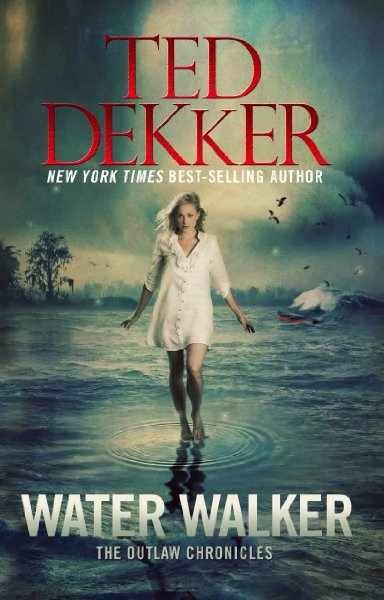 Still, I liked the conclusion, and will say that fans of Ted Dekker will be delighted to read this series! 1. A Tale of Two Cities. I think this is my favorite Dickens, thus far, though I need to read Bleak House, since that very well might shoot up to the top of my favorites by him. 2. The Scarlet Pimpernel. This was one of the first classics that I actually got into. It's a shame that the sequels aren't easier to get a hold of! Well, that isn't true, I should say they weren't easy to get a hold of when I was a teen. Now, they are available online for a kindle! 3. Les Miserables. I love this story, since it is such a powerful story of forgiveness. 4. A Picture of Dorian Gray. It's weird, but I love Oscar Wilde. His stories show a depth of morality that he just didn't get in real like. I think Ravi Zacharias' book about him goes along well with Wilde's stories. 7. The Adventures of Sherlock Holmes. The nice thing about Sherlock is that his stories are great for boys to get into. 8. Till We Have Faces. Everyone knows about Narnia, but not as many are familiar with Lewis' story about Cupid and Psyche. I love it! 10. Far from the Maddening Crowd. I don't know why, but I like the tragedy that goes along with Hardy's novels. 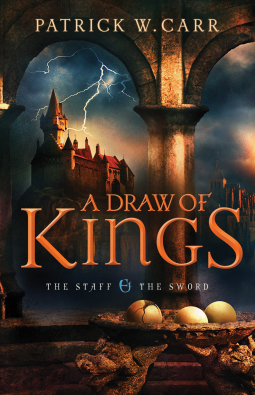 The third and final book in The Staff and The Sword series, the dark forces are gathering against those in Illustria and it seems like there is no way for light to win. Knowing that the herb women in his home town have predicted that one of them will die, both Errol and Liam try to prepare for the worse. In the wake of the king's death, one of them will take the throne and heal their broken country. I like the conclusion to this wonderful series. It was nice to have Liam in this story, since you don't get the chance to get to know him so well in the first two books. I also like how with both the second and third book has multiple adventures, since the main characters go separate ways to prepare for war. Something I thought was fun is how the author describes the different languages used. :) While I am sad that this series is over, I thought that this was a wonderful conclusion to the series. Well, with the exception that the ending is a tad rushed and could of had a bit more explaining. But, I still highly recommend it! With her twenty fifth birthday approaching and her big contract up, Ivy Clark finds herself desperate to stay on top of the modeling world. When the only job that comes her way is to model wedding dresses for her step mother, it's with a reluctant heart that Ivy agrees. 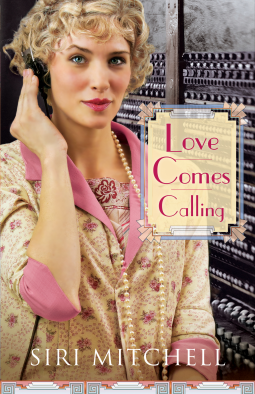 Back in her father's home, where she felt anything but loved, Ivy starts to open herself to relationships with Davis Knight, the fashion photographer turned church maintenance man, and his sister Sara. Could her brokenness turn into a blessed thing of beauty? I loved this book! It was beautifully written. The characters came alive, so much so that I found myself tearing up at times and then cheering them on at other points. Another wonderful thing about this book is that it has well developed secondary character. But, the best part is the incredible spiritual journey that will leave you looking at your own life to evaluate whether you are living like you believe you've been redeemed. 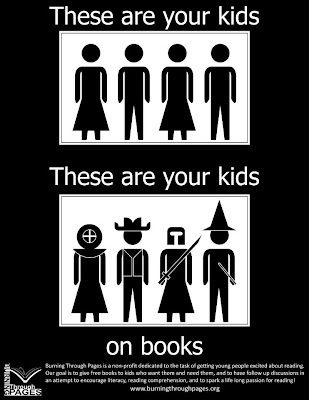 And that's what amazing fiction does, it gets you thinking and has you remembering the characters long after you finish the final page. I just never got into the whole vampire vs. werewolves thing. I just know he isn't as awesome as Todd Johnson, so why bother? I rather think her books are degrading to women and show a twisted version of love. As much as I find the Civil War era interesting, the movie adaption of Gone with the Wind was enough for me. Not interested in his idea of Christ being married. Somehow, I missed this one in school. Just haven't taken the time to investigate his novels. Military genre just isn't my thing. I read Storming the Black Ice recently. While it had enough going on, I realized I shouldn't pursue any more like it. 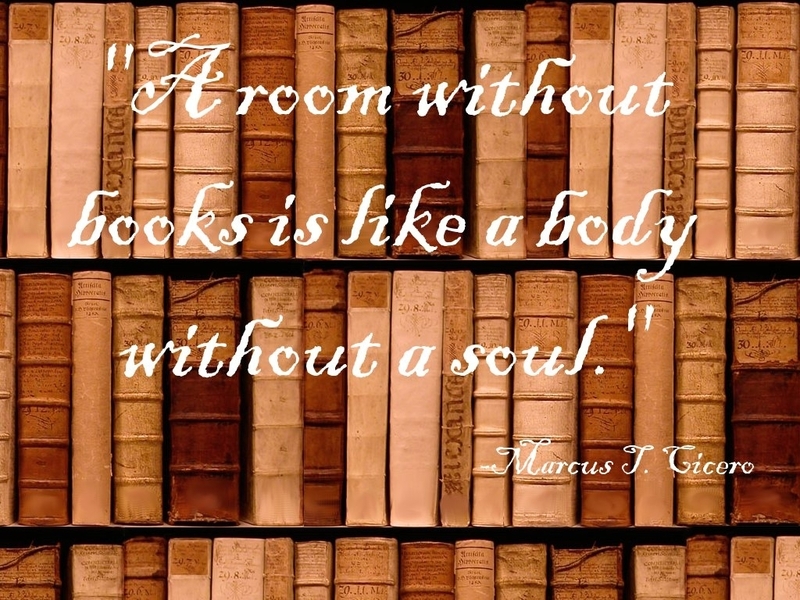 I've heard good things from fellow book lovers, but haven't tried one of his novels. When her mom suddenly dies at a young age, Laura Gantt returns to Georgia to go through all her parents belongings. With her mother's passing, rumors have surfaced of people seeing her father, a man who supposedly drowned 12 years before. As Laura, and her old beau seek to find answers to the mysteries surrounding Laura's family, more secrets come to light. While I thought this book was well written, I didn't care for some parts of the story. The author tackled some hard themes, and did a wonderful job with them, but I liked her other two books better. Still, she writes beautifully and her stories are well developed.